In fact, unsold inventory was sold in new boxes bearing five-digit catalog numbers even though the car inside the box had the old 96x number! 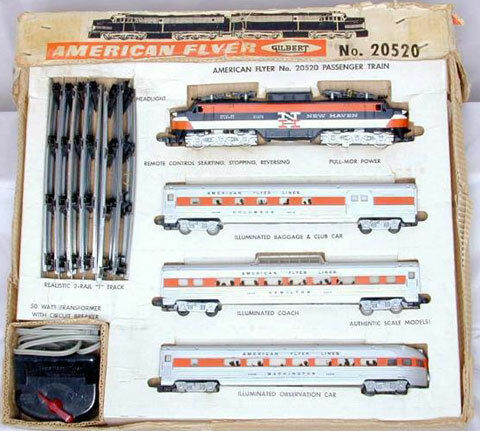 This orange set was made only in 1959. The only set in which these cars was sold is the #20520 Bankers set sold in 1959. Unsold inventory was sold as "Special Set" #20192 in 1960.